This is one of my favorites. Done in around 20-30 minutes, with flavor that tastes like it took hours, this is a weeknight meal that can’t be beat. Prepare chimichurri and cajun seasonings, below. In a large saucepan, combine stock, milk, butter, salt, and pepper and bring to a boil. Slowly whisk in the grits and simmer, whisking often, until thick and completely smooth, in about 10 minutes. Place cast iron pan over medium heat. Slice cherry tomatoes in half. Sauté tomatoes in cast iron over medium heat with 2 tablespoons olive oil for 5 minutes or until soft. Season with salt and pepper, remove from pan and set aside. Season shrimp with Cajun seasoning. Toss with olive oil and saute for 5 to 7 minutes. Once grits are finished, Slowly stir in Parmesan cheese. 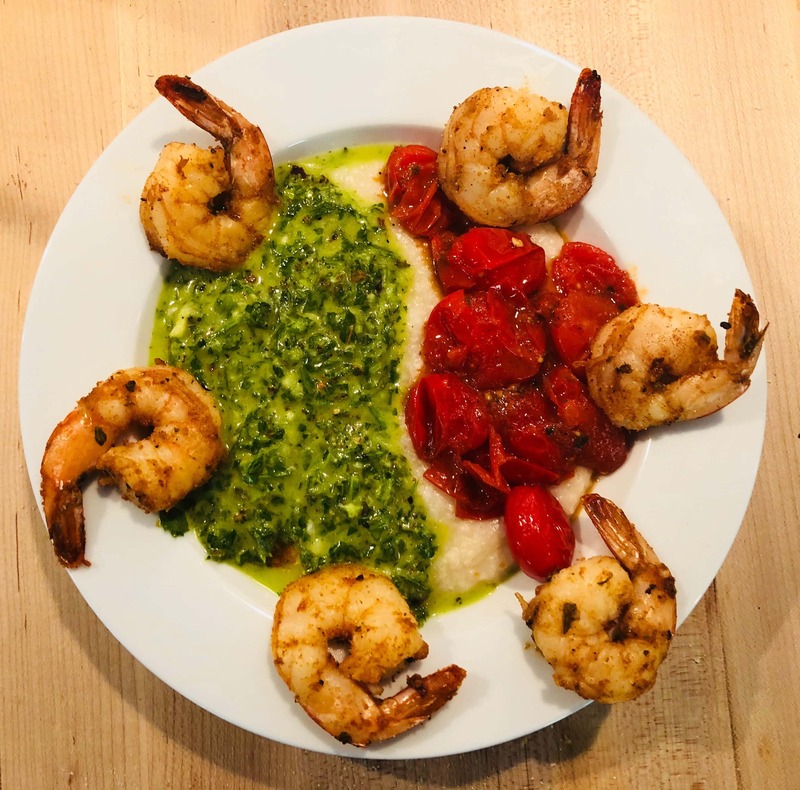 Serve topped with shrimp, tomatoes, and chimichurri.